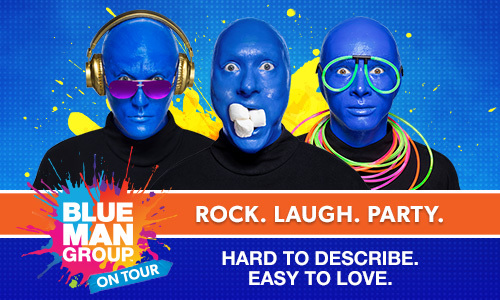 Blue Man Group performing this week in Moncton! SAVE 20% ON SELECT TICKETS NOW! This is going to be one of the wildest, weirdest, & most fun shows of your life! What’s even cooler about their performances coming to Moncton: we’ll be seeing Blue Men Group’s newest show, with some pretty amazing tricks up their sleeves! With no language barrier to overcome, as the Blue Men don’t speak, fans of all ages, cultures and nationalities can enjoy the experience. 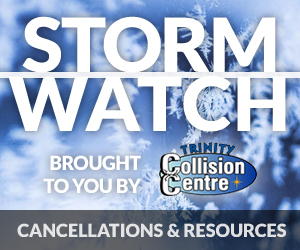 Blue Men Group will be performing at the Avenir Centre Thursday, Friday, as well twice on Saturday.